Featuring the Intel Xeon Processor Scalable Family, the SR530 server offers a balance of performance, capacity and value. The SR530 server supports up to two processors, up to 768 GB of 2666 MHz TruDDR4 memory, 8x 2.5-inch or 4x 3.5-inch drive bays with an extensive choice of SAS/SATA SSDs and SAS/SATA HDDs, and flexible I/O expansion options with the LOM slot and up to 3x PCIe slots. The SR530 server offers basic software RAID or advanced hardware RAID protection and a wide range of networking options, including embedded LOM, selectable LOM, ML2, and PCIe network adapters. 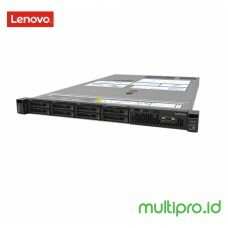 The next-generation Lenovo XClarity Controller, which is built into the SR530 server, provides advanced service processor control, monitoring, and alerting functions. 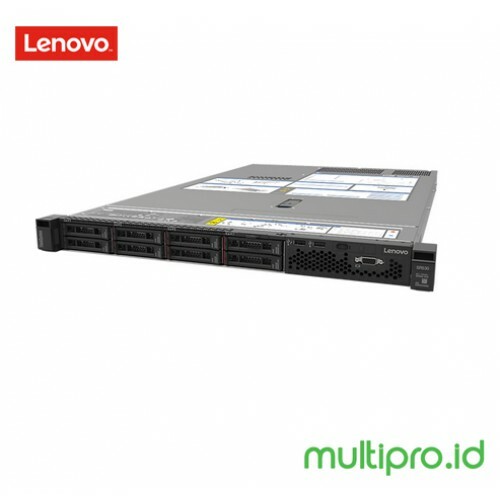 The following figure shows the Lenovo ThinkSystem SR530. The SR530 server delivers impressive compute power per watt, featuring 80 PLUS Titanium and Platinum redundant power supplies that can deliver 96% (Titanium) or 94% (Platinum) efficiency at 50% load when connected to a 200 - 240 V AC power source. The SR530 server is designed to meet ASHRAE A4 standards (up to 45 °C [113 °F]) in select configurations, which enable customers to lower energy costs, while still maintaining world-class reliability. The SR530 server offers a balance of processing power, expandability, and cost for small and medium businesses up to the large enterprise. Ease of use and comprehensive systems management tools help make deployment easier and efficient design improves your business environment and helps save operational costs.